Rabbi Lieberman is on a mission — to bring today’s seekers into deep and lasting relationship with Judaism’s magnificent 3500 year-old tradition. For her, the action is in sharing and interpreting the wisdom of Jewish texts, and in implementing new models of learning and community engagement. A member of the Central Conference of American Rabbis (CCAR) and the Board of Rabbis of Southern California, Rabbi Lieberman is the former executive editor of the CCAR Press and founding director of Shomrei Torah Synagogue’s Growing in Wisdom Initiative. 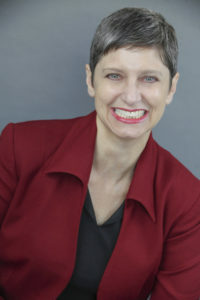 She is an alumna of Barnard College, and received her rabbinical ordination in 2015 from Academy for Jewish Religion California, where she earned the Master of Rabbinic Studies. Raised in the Bronx, she currently lives in Los Angeles with her family. She loves to hike.